The jet setter?s life can be rough on your hair because stress and fatigue associated with too much work and travel can lead to increased hair fall. If your hair is thinning and bald spots are appearing in your scalp, then you need a natural solution to grow your hair back. Fierce Hair Growth will help recover your hair via the breakthrough of Growth Factors. Growth Factors are proteins that revitalize and grow cells. Our specialists will insert a solution of these proteins into the stem cells in your scalp to encourage the growth of new hair cells. Please call us on our 1300 343 723 number to schedule your free assessment at our Airport West branch today. Fierce Hair Growth will help renew your hair in as short as 10 weeks. Specialist in Children's Haircuts. 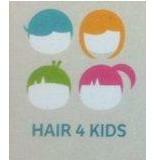 We are a fun and bright kids hair salon. We are set up like a kids place center. With two big play area's and waiting room. Novelty cars to sit on while watching the latest DVDs and Movies. Or for you teenagers play the latest playstation 3 games whilst having your haircut. Our staff are experienced and patient to cut all kids hair type. Even the most difficult of children. We also do 1st hsircuts and you will receive a 1st hsircut certificate to remember the occasion.